In 1978 the Little Silver Soccer Association was formed to compete in the Monmouth Ocean Soccer League. As the popularity of soccer began to grow, players and teams from Fair Haven and Rumson joined the LSSA. It was soon time to branch out. In 1985, representatives from the Peninsula towns met and formed the Peninsula Soccer Club Incorporated, which would service all of the surrounding towns from the peninsula area. From it’s humble beginnings playing games at Monmouth Park, to our well groomed fields at Dorbrook Park, PSC continues to be one of the outstanding soccer clubs at the shore. The purpose of our the Peninsula Soccer Club is to develop the ideas of good sportsmanship, honesty, and loyalty through the competition in the game of soccer. The club’s goal is to give our players the sound fundamentals and tactics necessary to play at the highest level the player aspires to. The Club is affiliated with the NJ State Youth Soccer Association (NJYSA), US Club Soccer, the U.S. Youth Soccer Association and the Federation Internationale de Football Association (F.I.F.A.). 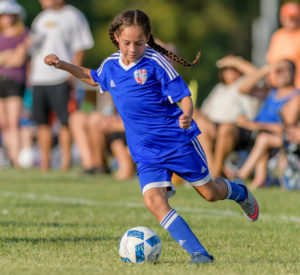 As a member of the Monmouth Ocean Soccer Association, our teams compete in theCentral Jersey Maps and MOSA Leagues. The Peninsula Soccer Club was incorporated in 1985 and received it’s Non-Profit status in 1998 as a 501(c) (3). The Club provides education and instruction in the sport of soccer though competition in youth soccer leagues. The club is supported by sponsorships, affordable memberships fees and parent-run fundraising events. 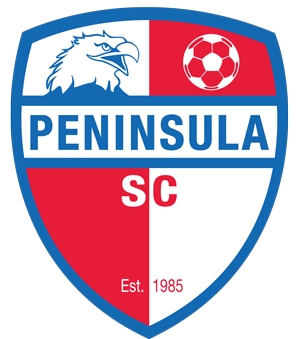 The purpose of the Peninsula Soccer Club is to develop the ideas of good sportsmanship, honesty, and loyalty through the competition in the game of soccer.